The Lamb Inn (Free house) is in the beautiful village of Little Milton, ten miles south-east of Oxford and easily reached from the M40, junction 7 or 8. 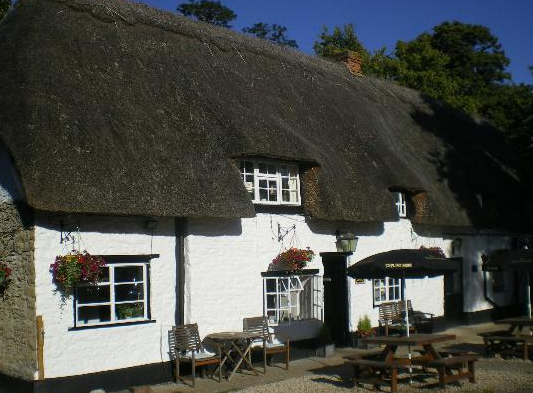 The pub is a mid 16th century stone building with a thatched roof. The internal décor is very traditional and sympathetic to the age of the building, with cleverly lit oak beams and exposed stone walls. The Lamb Inn serves three real ales, locally sourced where possible and a quality offer of pub food – traditional English and European, fish, curries and more. We offer an extensive main menu and also a lighter lunchtime menu as well as a traditional Sunday roast lunch. The starters on the main menu each cost less than £6, main courses are between £9 and £19 and the sumptuous desserts cost just £4.95 each. But don’t be fooled: the prices may be low, but the quality of the fare here is sky high. It is wonderful country pub, aiming to be a key part of the village community. Following acquisition of the freehold in the spring of 2011, The Lamb Inn breathes new life into Little Milton.